A personal look at the extraordinary life, career and artistry of Alexander McQueen. 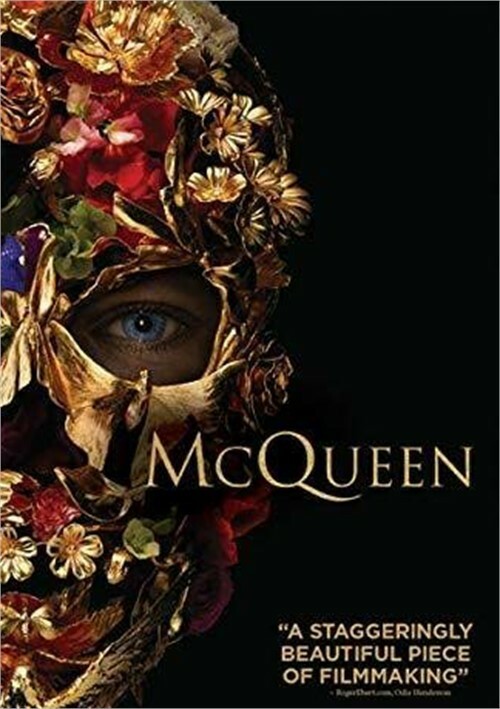 Through exclusive interviews with his closest friends and family, recovered archives, exquisite visuals and music, McQueen is an authentic celebration and thrilling portrait of an inspired yet d fashion visionary. Alexander McQueen was a fashion icon and we finally get a documentary that has been fashioned in his revolutionary style like the clothes that he created. Filmmakers Ian Bonhote and Peter Ettedgui bring us a detailed profile of a uniquely talented genius who suffered because of his dark side that ultimately took him from us. McQueen was born into a blue-collar family in London's East End and from an early age he was passionate about making clothes and the more unusual the better. He was an apprenticeship to a tailor in Saville Row and then went on to Central Saint Martins College of Art and Design to work as a pattern cutter tutor. When the Head of the new MA course in fashion design saw his portfolio she persuaded him to enroll. That head, Bobby Nillson, saw his strong natural talent and realized that they couldn't teach him to design and instead helped to give him help to use it. McQueen's Collection in his final year show was bought up in its entirety by an eccentric aristocrat who loved the avant-garde, and she (Isabella Blow) became one of McQueen's closest friends and one of his biggest supporters. Unfortunately she took her own life just before McQueen took his. McQueen then began his own label, and very quickly became known as the "L'Enfant terrible" and "the hooligan of English fashion". His style was totally outrageous and he created fashion that London had never seen before. From the very beginning, it was the extravagant theatrical style of his runway shows that turned more than just heads. Because his runway shows had almost all been recorded, the filmmakers had a lot of footage to share and allow us to be stunned by what we see. McQueen's genius is brilliant and a feast for the eyes. We also have equally fascinating home videos made by McQueen's friends and that show his thought processes as well as his obsession with the darker side of life. When he received an offer to be the Creative Director of Givenchy, one of the most conservative and rather haughty luxury French Fashion Houses, we see McQueen and his friends being overwhelmed by the grand and ornate headquarters that they were expected to work. His first collection for Givenchy was not a success but later ones were and although his designs for them were more refined they still had all of his personal touches. On camera he says that the huge amounts of money that Givenchy paid him finance his own label. 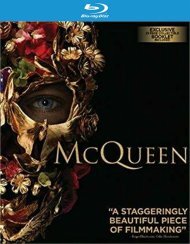 McQueen was openly gay from a very early age and we have interviews with most of the men he had significant relationships with. He remained on good terms with them and he was very close to his family especially his older sister Janet and his mother. Om fact, his mother's death was a major factor in his depression and he took his own life the day after she died. In the documentary, the clothes are the stars and it is interesting to see now how many people take credit for McQueen's success but it was he, alone, who really is the one who made himself who he was. He deliberately shocked and provoked the fashion industry in such a way that they are still have not really recovered. He was named British Designer of the Year for four consecutive times and he was honored by the Queen as a C.B.E. Unfortunately his dark side won out and at the age of 40, he took his own life in 2010.